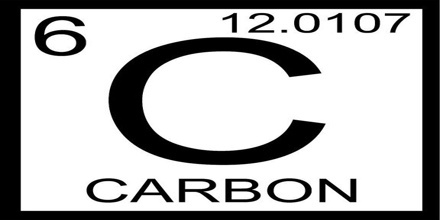 Carbon is a naturally abundant, nonmetallic element that occurs in all organic compounds and can be found in all known forms of life. It is one of the elements, one type of atom. Carbon generally forms four covalent bonds with other atoms in larger molecules. Atomic number 6; atomic weight 12.011; sublimation point above 3,500°C; boiling point 4,827°C; specific gravity of amorphous carbon 1.8 to 2.1, of diamond 3.15 to 3.53, of graphite 1.9 to 2.3; valence 2, 3, 4. Carbon contains six protons and six neutrons in its nucleus, with six electrons orbiting around the outside. The number of protons and electrons is what determines its properties, and those properties are incredibly important. The most common oxidation state of carbon in inorganic compounds is +4, while +2 is found in carbon monoxide and transition metal carbonyl complexes. The largest sources of inorganic carbon are limestones, dolomites and carbon dioxide, but significant quantities occur in organic deposits of coal, peat, oil, and methane clathrates. Carbon looks very different in its many shapes and forms. 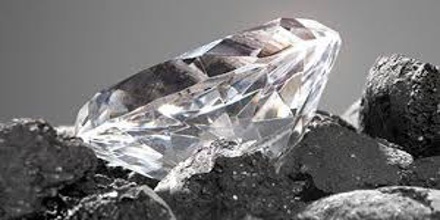 Diamond is made of carbon. But so is the graphite in your pencil, the charcoal in a fire and the coal in a power plant. Carbon dioxide, a molecule made out of carbon and oxygen and is something you breathe out, is also the gas most responsible for climate change. 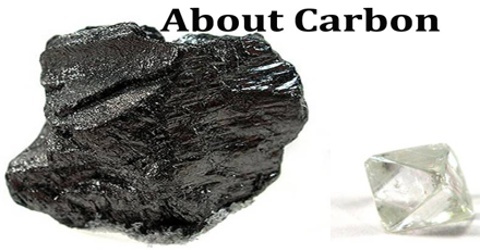 So, carbon is totally different in its many different forms. Carbon is a very abundant element. It exists in pure or nearly pure forms, such as diamonds and graphite but can also combine with other elements to form molecules. It is the most important component of all life found on Earth. Even the most complex molecules that make us up contain carbon bonded to other elements: carbon bonded to oxygen, carbon bonded to hydrogen, carbon bonded to nitrogen. All living things on Earth are made mostly of hydro-carbons (molecules of hydrogen and carbon) and water (molecules of hydrogen and oxygen). 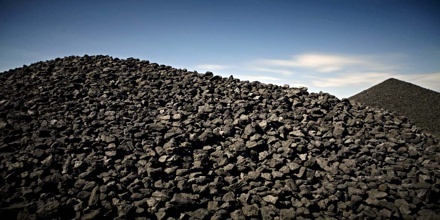 Both plants and animals are about 18 per cent carbon. There are three types of natural graphite—amorphous, flake or crystalline flake, and vein or lump. Amorphous graphite is the lowest quality and most abundant. Contrary to science, in industry “amorphous” refers to very small crystal size rather than complete lack of crystal structure. Flake graphite is less common and of higher quality than amorphous; it occurs as separate plates that crystallized in metamorphic rock. Vein or lump graphite is the rarest, most valuable, and highest quality type of natural graphite. It occurs in veins along intrusive contacts in solid lumps. Pure carbon has extremely low toxicity to humans and can be handled and even ingested safely in the form of graphite or charcoal. It is resistant to dissolution or chemical attack, even in the acidic contents of the digestive tract. Carbon black is produced with the thermal decomposition method or the partial combustion method using hydrocarbons such as oil or natural gas as raw material. 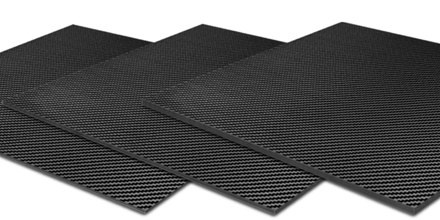 The characteristics of carbon black vary depending on manufacturing process, and therefore carbon black is classified by manufacturing process. Carbon black produced with the furnace process, which is the most commonly used method now, is called “furnace black,” distinguishing it from carbon black, which is manufactured with other processes. Carbon black is used as the black pigment in printing ink, artist’s oil paint and water colours, carbon paper, automotive finishes, India ink and laser printer toner. Carbon black is also used as filler in rubber products such as tyres and in plastic compounds. Reference: study.com, dictionary.com, usesof.net, wikipedia.